The popularity of pour over kettles has been growing in the realm of coffee enthusiasts. It’s a fantastic tool to use when you want to make use of pour over brewing. In short, these kettles allow for a more concise method of manual brewing, which can allow you to brew coffee and water more carefully for the ideal result. However, if you’re going to become a pro at manual brewing, you’re going to need a solid pour over kettle to work with. That’s why we’re taking a look into ten pour over kettles that can help you with getting the job done. Read on to find the best option for you! These are What we believe to be the Best Pour Over Kettle’s for Your Coffee Bar! 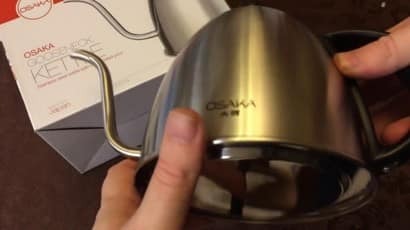 The Osaka is an electric gooseneck kettle, which means it uses a specialized stand that helps to heat up the contents. That gooseneck addition also helps with pouring evenly and slowly, which is said to be an important part of the brewing process. It’s made from stainless steel, which means it’s going to be reliable and you won’t need to worry about it rusting. To add to your comfort level, the handle is also made to remain cool to the touch and fit easily in your hand so that you can have total control over pouring. Furthermore, the base is designed to offer a solid 1,000 watts of power to help you get just the right temperature. Overall, the Osaka is highly praised by customers. They love the non-plastic design as well as the automatic shut-off ability. To further allow you to personalize your options, this kettle is also available in 1 liter and 1.5 liter sizes! For those looking for something with an interesting design, the Hario V60 is a great way to go! It’s a stainless steel kettle, made with a thin gooseneck spout so that you can have the ideal amount of control over your pouring. You can also use it on a variety of different cooking surfaces, so you’ll have more options with how and where it can be useful. The handle is made to be easy to grip, so you’ll be comfortable as you pour. Both the handle and the knob on the lid are designed to remain cool when the rest of the kettle is hot. Furthermore, it comes in both 1 liter and 1.2 liter sizes to allow you to get the amount you need. Many customers especially favor the spout, as it allows for smooth, slow pouring that they say can make a huge difference in the resulting coffee. The Willow & Everett kettle is a smooth-looking device with a long spout for easy pouring. Unlike some other options, this one also includes a number of presets that you can use for creating the perfect cup. You’ll also get an electric base with a fantastic 1,000-watts or 120 volts of power to give you the heat you need. This frees up space on the stove and helps the contents to boil much more quickly than kettles without a base. Another great addition is that it’s able to remember the previous settings you have used as far as temperature is concerned. Customers enjoy the easy-to-use handle that allows them to get the perfect pour easily. Many also enjoy the overall look, finding it to be a very aesthetically-pleasing addition to their kitchen. The speed that the electric base can add to the overall ability to boil has also earned this kettle a lot of praise! The Barista Warrior Pour Over Kettle is an easy-to-use device that can help customers who want to move into making pour over coffee rather than the standard drip style. Many customers love the thermometer that is located on the top of the kettle, allowing you to keep an eye on the temperature easily. 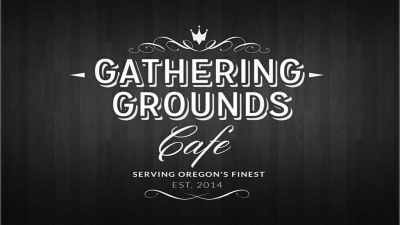 This is highly important because water with too high of a temperature can burn your grounds, making the resulting coffee less enjoyable. In addition, this kettle also includes a gooseneck spout helps with getting a slow, consistent pour. Customers love the overall simplicity of this device, as well as the one year warranty it comes with! If you’re looking for something with a smooth look and a well-designed handle, the Zell Kettle is a great tool to look into. The gooseneck spout will also help to make pouring smooth, slow and easy. Furthermore, this kettle is made to be durable so that it can be used on a variety of stove tops. Customers love using this device for high-quality pour over coffee. 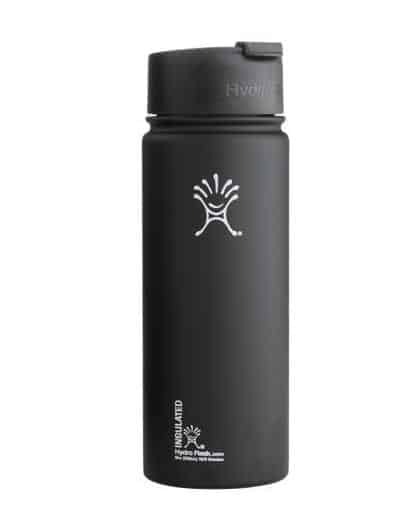 Overall, it’s made to be easy to use and is able to hold about 47 ounces of water, so you won’t have to worry about not having enough! 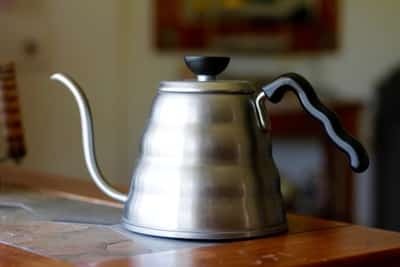 Another highly popular option for pour over kettles is the Fino kettle. 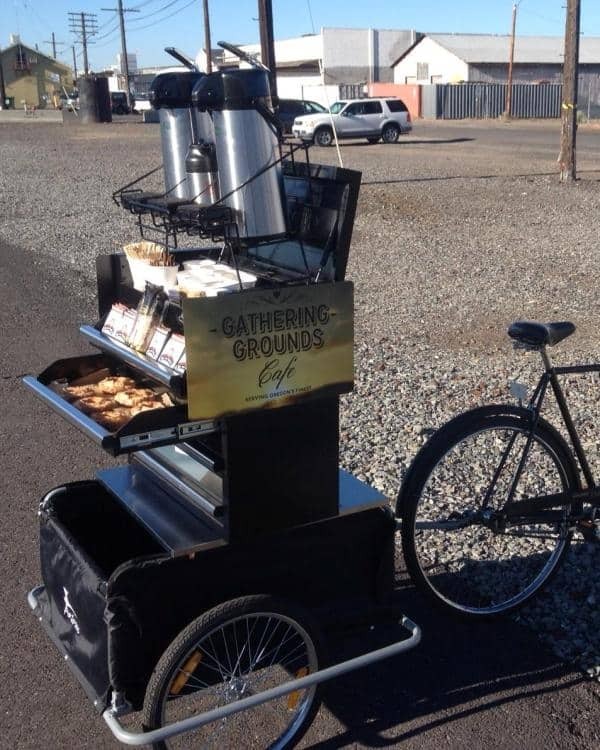 It’s also a slightly smaller option for those who don’t need to make as much coffee at a time. In both 4 1/2 cup and 6 cup options, you can get just the amount you want. Like other options, the spout is made for slow, concise pouring. The handle on this kettle also offers a uniquely angled handle, which not only stays cool but also allows you to keep your hand away from the hot kettle. Many customers love the ability for this kettle to heat quickly, allowing you hot coffee or tea in no time at all. Another fantastic electric option is the Doctor Hetzner gooseneck kettle. What makes this device unique is the temperature control that is located right on the handle, as well as a small, digital screen that displays the temperature. This makes it very easy to heat water to the exact temperature you want, down to the degree. Furthermore, it’s made from food-grade stainless steel that won’t be prone to mold, bacteria or rusting. For those who want to feel protected for the long term, this kettle also comes with two-year warranty. If you don’t need the digital option, but still want to keep an eye on the temperature then this Ovalware kettle is a great option for you! It includes a fantastic thermometer right on the top of the lid for convenience. This kettle is also to hold a liter of water and allow you to pour easily with the gooseneck spout. The seamless bottom also works for you to be able to easily clean it so you won’t need to worry about bacteria or mold. Many customers have appreciated the sturdy design, as well as the ability to keep an eye on the temperature inside. The Elementi Electric Gooseneck Kettle is another great electric option that is sure to get you the ideal pour over coffee. It has a sleek, stainless steel look and comes with a base with a power of 1,000 watts. In addition, the two foot cord also allows you a lot of room to work in your kitchen and easily stores away after. Overall, this kettle receives a lot of praise due to the ability to heat quickly and to the ideal temperature. There’s also no plastic that you have to worry about effecting your water. Furthermore, the handle is great for keeping you comfortable and safe. One of the top choices when it comes to pout over kettles is the Gator. This is a high-quality kettle that comes in both 34-ounce and 40-ounce options so that you can get just the amount you need for your coffee. 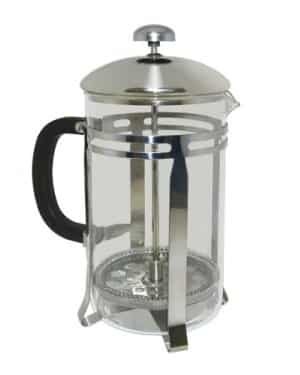 One of the things that sets the Gator apart from other kettles is that it’s made with medical-grade stainless steel. Because of that, you can be assured that it will be safe to use and free from rust for a long time of use. It also includes a temperature gauge that you can use to ensure the water inside is the perfect temperature for your coffee. Overall, customers have praised many aspects of this kettle, from the comfortable handle to the aesthetically pleasing look. There’s no doubt that if you’re looking for the best of the best, you can’t go wrong with the Gator! The Verdict: Which Pour Over Kettle is Best? 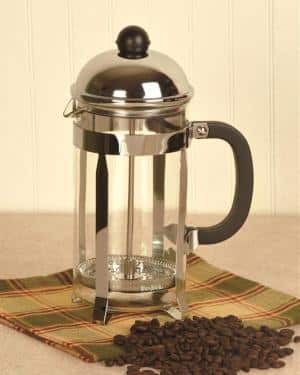 Each of the pour over kettles in this list are highly useful tools with varying tools that can ensure you find something that meets your needs. Whether you prefer an electric device, or something that you can easily use on your stove, we’ve got you covered! If you want to get right down to which is best, the most praise has gone to the Gator due to the high level of durability and convenience it offers. It’s truly a device that can get the job done quickly and easily. That said, all of the other kettles in this article have received fantastic reviews as well.